If you follow my blog for a while you might have noticed that this is my favourite outfit combo - blazer, stripes and heels. 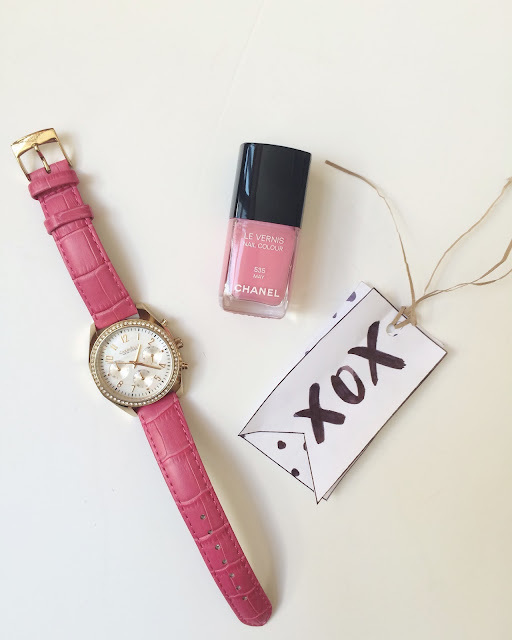 To change things up a little I've added these gorgeous pink heels, quilted bag and my new Caravelle watch. This is uhhmaaazing, the heels are incredible! So ein erfrischender und schöner Frühlings-Look! Love the pink shoes ! Very nice ! Nice outfit! Love the sandals! such a pretty look! 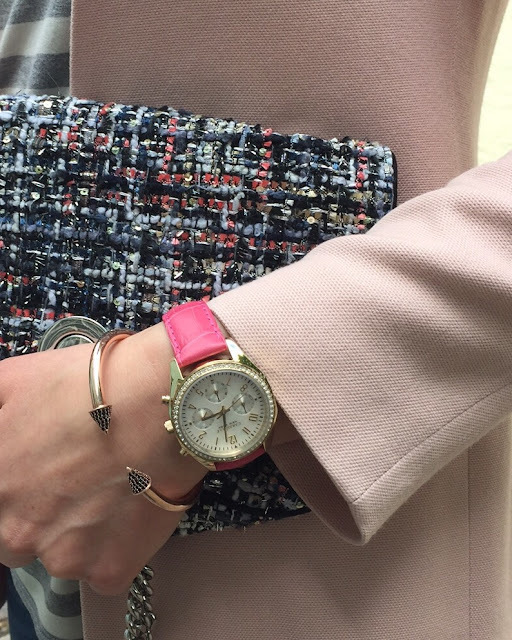 love the pink blazer and the bag! I absolutely love how feminine yet sophisticated this outfit is!